TAY NINH — More than 30 people have been arrested after police discovered an illegal gambling ring in the southern Tay Ninh Province, the police department said on Tuesday. The provincial social crime prevention police raided Sky Win Cafe, located in a building in Vo Van Truyen Road, Tay Ninh City at 3pm on Tuesday and caught more than 30 people suspected of organising and being involved in illegal gambling via online games. The police also seized 21 game machines. 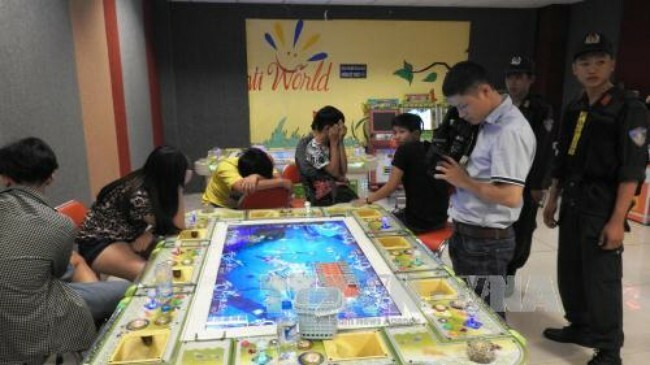 Initial investigation showed that a gambling addict playing via online games here could lose VND100 million (US$4,300) a day. The doorkeeper of the building said there were numerous online gamers every day. A person living near the building said the cafe was open round the clock since 2014.